In this edition of the eClinicalWorks Podcast, we speak with Jocelyn Restrepo, a nurse practitioner at Rainbow Pediatric Center in Jacksonville, Florida, who discusses how the practice has successfully implemented healow TeleVisits for their patients with Attention Deficit Hyperactivity Disorder. A three-month trial run showed that healow TeleVisits could save parents and providers alike the time and trouble of having patients come to the office for routine appointments. Now, the practice is considering expanding TeleVisits to improve compliance with other quality measures, including for patients with asthma and diabetes. The healow Kids app gives busy parents — and busy practices such as Rainbow Pediatric Center of Jacksonville, Florida — a more convenient way to share messages, lab results, and patient education, as well as to book appointments and issue reminders. The result is better compliance, strong Patient Engagement, and higher satisfaction for all. Meeting the demands of modern healthcare is about more than quality providers and facilities. True excellent requires access. 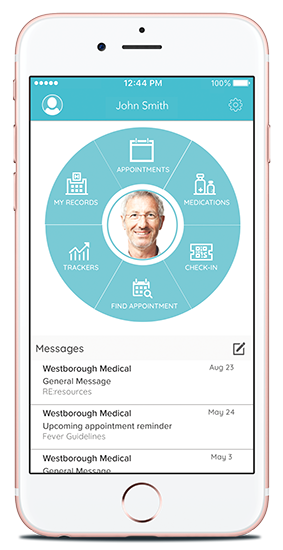 Patient Portal has revolutionized workflows and the doctor-patient relationship by offering secure, online communications for appointments, visit summaries, messages, lab results, and patient education. And the latest version of Patient Portal has a Spanish language interface, as well as proxy access to meet the needs of families, adolescents, and adults caring for aging parents. Adam Siladi: Technology in healthcare is both a driver of change and a solution to problems. And nowhere is that more apparent than at Rainbow Pediatrics in Jacksonville, Florida, who’s putting telemedicine to work in new and exciting ways for their patients. And here to speak with us today is Jocelyn Restrepo, nurse practitioner at Rainbow Pediatrics. Jocelyn, welcome! Adam: So, Jocelyn, so if you could, tell us just a little bit about Rainbow Pediatrics, and your role there. Jocelyn: Sure. I started here at Rainbow Pediatrics last summer, and I am working here as a nurse practitioner. Rainbow Pediatrics is a pediatric primary care office. Adam: And I hear that your office is pretty interested in putting new technologies to work at the practice. So you feel like that’s part of the culture there at Rainbow Pediatrics? Jocelyn: Yes, we’re really trying to be in the here and now right with the things that are most up to date, so that we can help our patients. You know, technology is a huge part of society today, so we’re really trying to push to stay current on all of that. 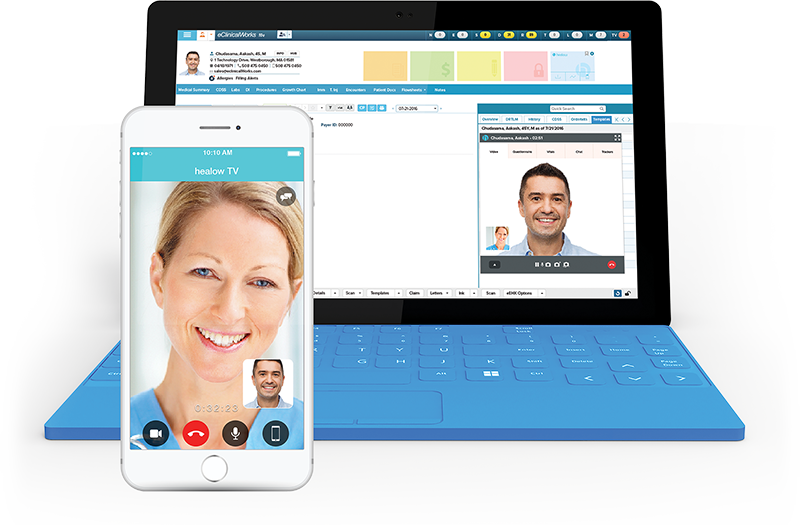 Adam: Now, your office has begun using our telemedicine visits, which are available through eClinicalWorks, which allow you to connect to a patient who is not actually there in the office. So, how did that conversation get started? How did your practice learn that telemedicine was available for your practice? 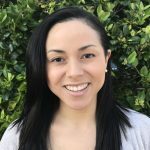 Jocelyn: So, our practice was looking for better ways to communicate and reach out to our ADHD patients, and eClinicalWorks had this program coming out for telemedicine, for virtual visits. 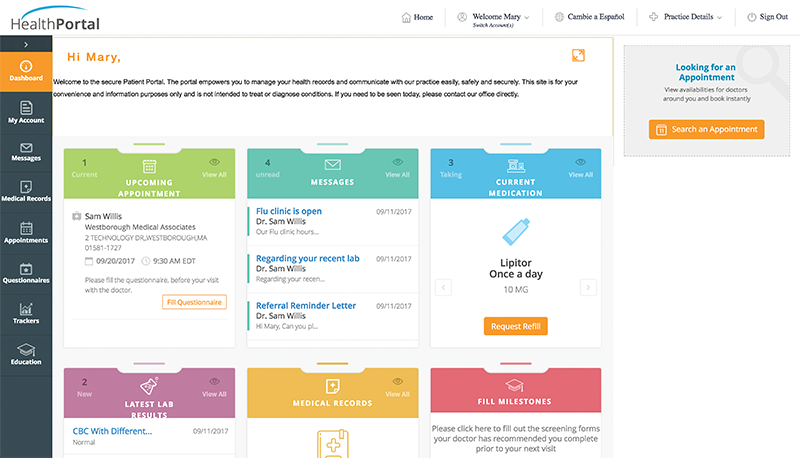 So we’ve been using them for our charting systems for a while now, so we thought this was a great resource that eClinicalWorks had, that you guys had available, and we were just trying to see how to implement it, to better provide care for that population that we were looking to solve a problem. Adam: So tell us how the experience is for you and your patients. What does that interaction look like for your practice. Jocelyn: We’ve gotten a lot of positive feedback, from both providers and the patients. I think the biggest word that patients use is “convenience.” So, we’re able to be here at the office and patients don’t necessarily have to drive all the way here to see the providers and address their concerns. You know, they’re getting the same level of care, and they’re able to see a provider face to face in the comfort of their own home. So, they’re sitting on their couch, they’re in the line to pick up their kids from school, and right then and there they can do a visit. So, it’s just really an easy way to get things done, and you’re not changing the level of care. Adam: Now, did you have any difficulty convincing your patients to try this? What was that like? Jocelyn: So, I feel like I didn’t really have to do a lot of convincing with the patients. I think patients were aware that this technology was already out there, and so, I feel like a lot of them were very excited that we were implementing this in our office. Now, there’s always going to be a few patients here and there that are a little hesitant. They like to do things how it’s always been done. But we walk them through the steps and kind of show them this is the log-on process, this is how you get things started, and did a trial run. And once most patients saw how easy it was, it really became the go-to, the preferred method, rather than coming in to the office. Adam: So, that’s a great point. I think a lot of times today we think that, especially with pediatrics, maybe you have some younger parents, you definitely have younger patients, maybe tech-savvy, even then they might not be comfortable going through the whole process on their own. So it sounds like you do a little bit of hand-holding, and make sure that they understand how that works, so that they feel comfortable getting up and running. So, from a practice perspective, what types of issues does this solve for you? I mean, were you having issues getting people to their visits? Were there quality metrics that you thought could be improved here? What can you say about that? Jocelyn: So, one of our biggest issues with our ADHD patients — and I don’t really think this is because the parents don’t want to come — but is compliance with the visits. Like I had mentioned earlier, we truly need to see these patients on a regular basis, sometimes monthly. And it just is very inconvenient for parents to have to take time out of their day work schedules, school schedules, to come in for these appointments. So, sometimes appointments get missed, patients are having periods of time where they are not taking their medication, and this medication needs to be taken on a regular basis for it to have the best positive outcome for our patients. So, by implementing these virtual visits, we increased our compliance by about 60%, I believe is what it was, in just that first round. So, it really helped, because parents did not have to take that time out of their day. It was just much easier and much more convenient to get it done and be able to get these patients the care that they need and the medication that they need on a timely basis and in a timely manner. So, this project has helped with some of our quality metrics. We are actually a Patient-Centered Medical Home, and one of the biggest things with a Patient-Centered Medical Home is you are following through efficiently with your patients, so patients with different types of chronic illnesses — so, asthma, diabetes, ADHD counts as one of those as well — so this has just helped us to increase that compliance, and make sure that patients are getting consistent care. So, people aren’t falling through the gaps, ideally, is what it’s helping us with. Adam: Now, ADHD is obviously one very focused area where this can be applied. Is your office looking at any other places where you can put something like this telemedicine visit to work? Jocelyn: So, our office is actually looking into using TeleVisits in other areas. We have just started this project not too long ago, so ADHD was kind of the starter, and we are getting positive results with that. But we do have a project coming up to make our office breastfeeding friendly. So, being able to consult with new moms that maybe have a three-day-old baby, or a five-day-old baby and have a lot of questions about nursing and breastfeeding and all of that. Using virtual visits is a great way to do that face-to-face interaction that they need, but not making them leave the house and come out to the office with a newborn baby. So that’s in the works. We’re just kind of starting that off, but I look forward to seeing how telemedicine helps us in that aspect and in that field as well. Adam: Well it sounds like it could be beneficial for any patient who has trouble getting to the office. You mentioned a couple of pediatric-specific situations, but I could also see this being applied to behavioral conditions for general practitioners, patients who aren’t going to a psychologist, but who are being treated for things like depression, or some other behavioral issues, where the provider wants to check in on them. I could also see this in place for minor dermatological issues, if a patient has a question about a rash or something like that, or even like you mentioned some of those chronic issues that I know a lot of providers are focusing on, especially if they are dealing with a lot of Medicare/Medicaid populations, which, unlike your, have a lot of chronic issues as well. So, it’s great to know that you’re putting that into place and making that effective, and using it to really increase the amount of access that your patients have. How did you roll this out for your patients? What did your implementation plan look like for TeleVisits? Jocelyn: So, the way that we implemented the program — we wanted to make sure we offered this to our entire ADHD population — so all of our patients with ADHD — so we really just had our staff start calling these families and letting them know about the project we had out there. We chose this way rather than just posting something on our page, because I think when people, sometimes people can be hesitant when it’s something new, they don’t know too much about it, they may have a lot of questions, and not call the office or not try it, because they’re not sure how it works. We kind of gave them the steps to log in. If they had any questions they were able to call us with that we could walk them through the initial process and set aside any fears that they had, or any doubts about the system. Once they saw how easy it was to set this up, log in, we went ahead and did like a the trial run, so they would see how the TeleVisit would work. And then we took it from there. Adam: Well, I think it really goes to show just how much a successful, almost marketing effort toward your patients, can go to drive a lot of this. I think in the past people would turn on their Patient Portal and they would think “Oh, well, patients will just start using it,” and they saw low adoption rates. But I think the part that was missing was what you found, which was you really do need a lot of information and education, and you need to let them know it’s available, so that they know that it’s an avenue for them to interact with your practice. And it sounds like you’ve been very successful with that, so that’s great. So, I’m curious to know what are some of the other next steps for your office? What are you looking forward to? Jocelyn: So, our office — I had mentioned a little bit earlier we have the breastfeeding-friendly office. We’re kind of working on making our office reach that goal, and really these virtual visits I think will be a tool that we use that will be helpful with our moms and babies. We have other projects, of course, that we’re working on. We continue to strive to be better for our Patient-Centered Medical Home, and providing the best care for our patients. We have our asthma clinic that we continue to work on and improve on with our patients and families. So, just lots of different areas, trying to provide the best care and stay up to date. Stay up to date and be in the now with society and with what our patients are needing. So, we continue to strive to be better. Adam: You know, I think it’s really interesting that we’re dealing with this topic today in the way that we are, because we are connecting through Skype, which is the technology solution which allows me to communicate from our office and you to be in your office, so it’s very similar to what you’re doing with your patients by putting them on the TeleVisits and making that access a little bit easier for everybody, so I think it’s quite a coincidence there. Jocelyn: Yes, it’s excellent. And I can just use my phone and do this visit, and keep seeing patients as soon as we’re done. So, it’s very convenient. Adam: Well, Jocelyn, thank you so much for taking the time to be part of the eClinicalWorks Podcast here today. We’ll be looking forward to seeing what you guys come up with next as far as ways to put our technologies to use. And, of course, we have other eClinicalWorks Podcast episodes available on iTunes, YouTube, and my.eclinicalworks.com. If you have any questions about any of the stuff that we talked about today, you can always visit my.eclinicalworks.com for a load of information. We have webinars, we have knowledge pages, and of course you can always reach out to your Strategic Account Manager as well to help you get going with some of these things. For the eClinicalWorks Podcast, I’m Adam Siladi, and thanks for watching!